It's Christmas Day, and once again one of our MNSC boys chose to host a dinner on his birthday - his last as a thirtysomething. With no other halves present this year, the bunch of us took a smaller function room at the I Hate the Handover Club. The menu this year was very, very simple - which was fine because, naturally, the focus tonight was on the wines. As requested, this was steamed Cantonese-style with the soy sauce dressing, coriander, spring onions, and chili. Served with steamed rice, of course! If you wanna talk skillz... check out the color of the salmon. Just. Perfect. Sooooo tender. Soooo silky smooth. Just wonderful with the soy sauce. Yes, I had a second serving. Why the hell not?! 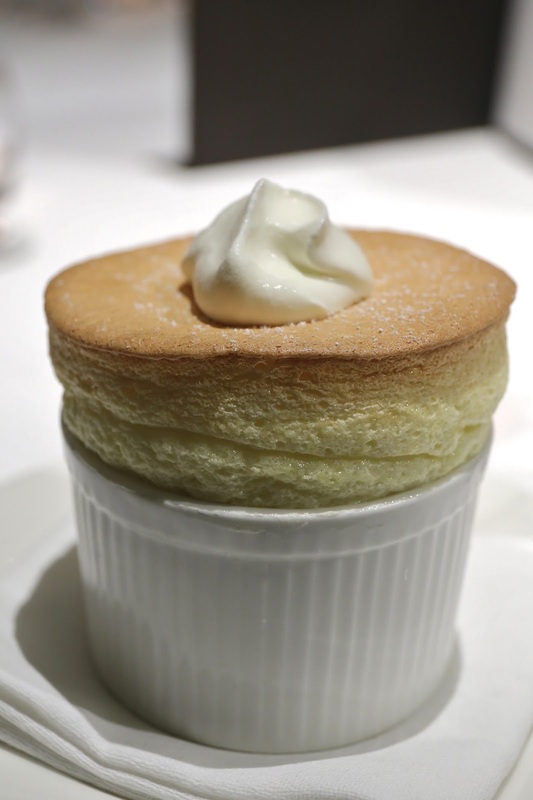 Grand Marnier Soufflé - it's been a while since I last had a good soufflé, and this one wins it by a mile. Classic. Perfection. Fluffy. And it didn't collapse like it was full of hot air. Pol Roger Réserve Brut, disgorged at least 15 years ago - yes, this was the "White Foil", but one that has been cellared for 15 years. Good acidity but nice and ripe on the palate, with lemon and caramelized sugarcane notes. First flight: decanted for 45 minutes prior to serving. 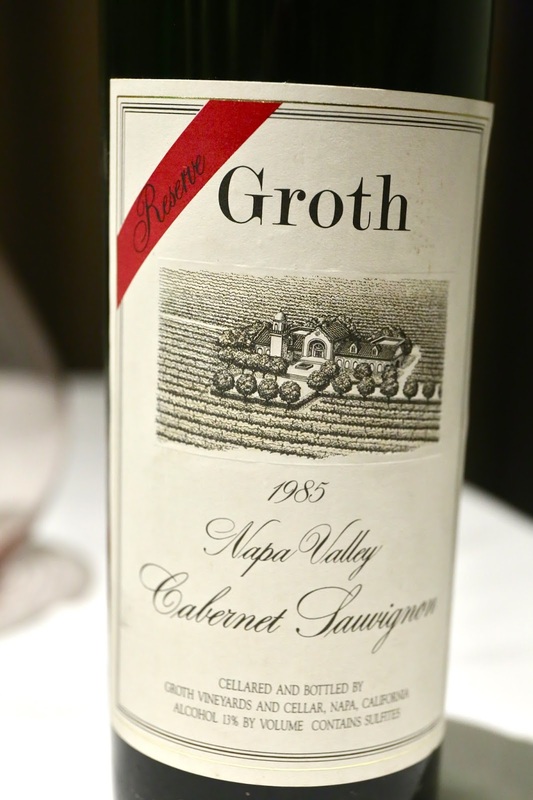 1985 Groth Reserve - smoky, green pepper, pain grillé, nice and wood cedar notes. Very smooth on the palate. Later on very nice and fragrant, with a little piment d'espelette notes. 92 points. 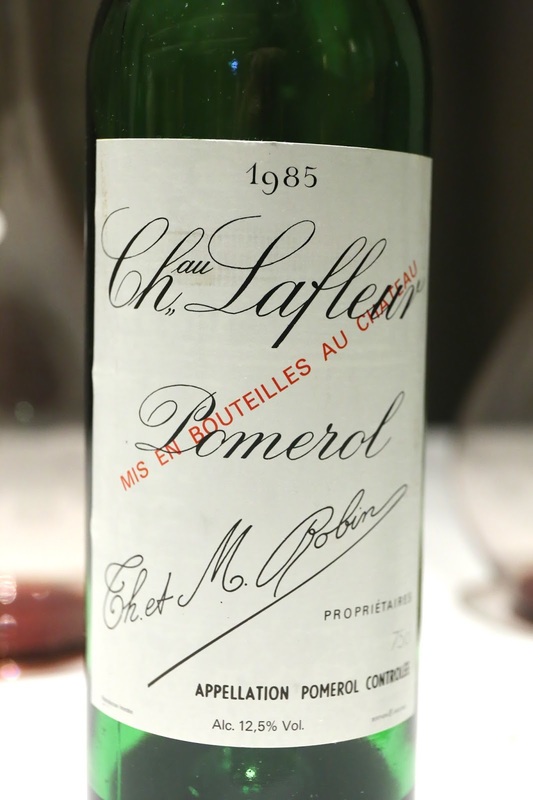 1985 Lafleur - a little riper on the nose, with some shoe polish. Nice fruit with smoky notes. 92 points. 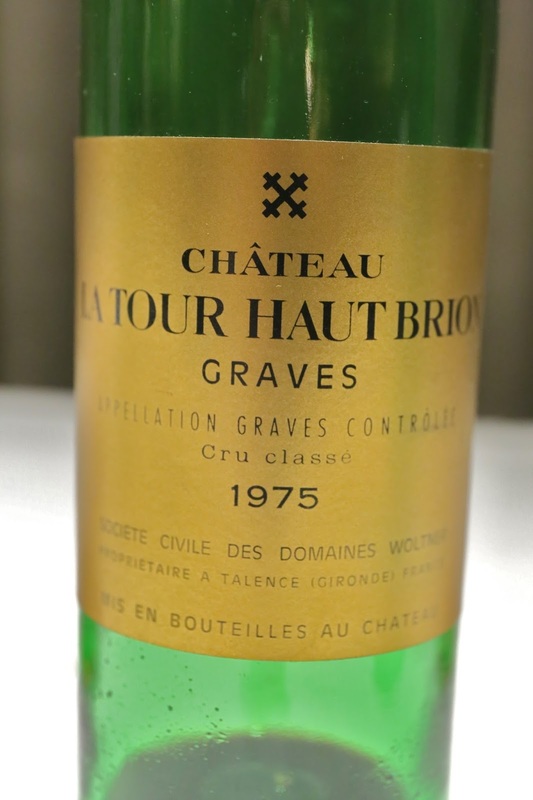 1975 La Tour Haut-Brion - lots of hospital disinfectant and brett on the nose, with smoky notes. 92 points. 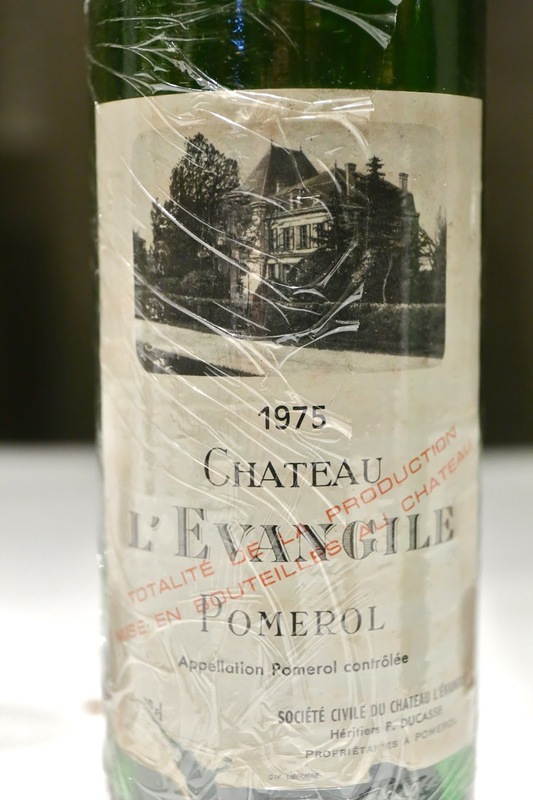 1975 L'Evangile - sweet grass notes, very nice and elegant. 96 points. Third flight: popped and poured after 20 minutes from bottle. 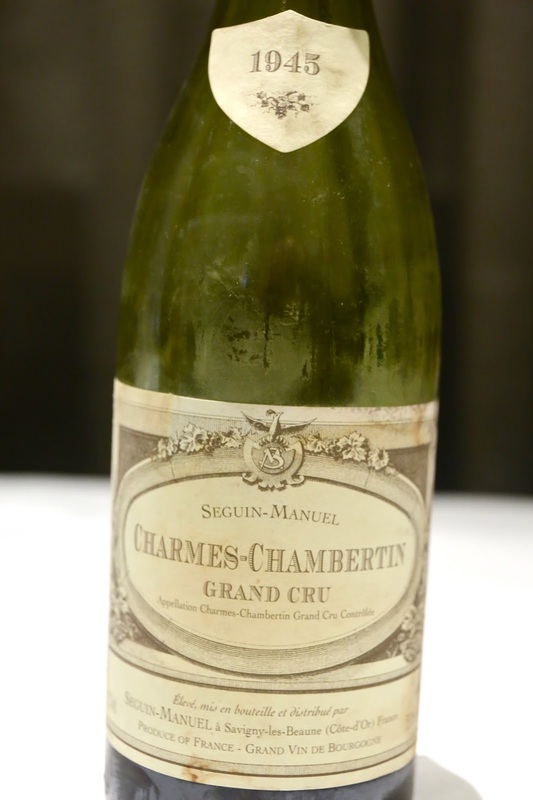 1945 Seguin-Manuel Charmes-Chambertin - really fragrant nose, with toasty oak, and a little caramelized on the nose. Lovely cherries. 94 points. 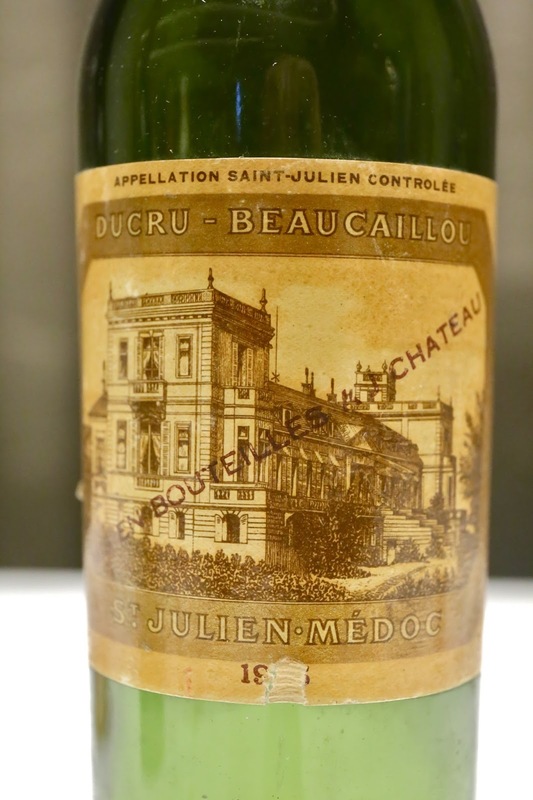 1945 Ducru-Beaucaillou - really smoky, really meaty, minty, with pencil lead, toast, and a hint of grass. Nice acidity here, and very smooth on the palate. An awesome wine. 100 points! Fourth flight: decanted and served after 25 minutes. 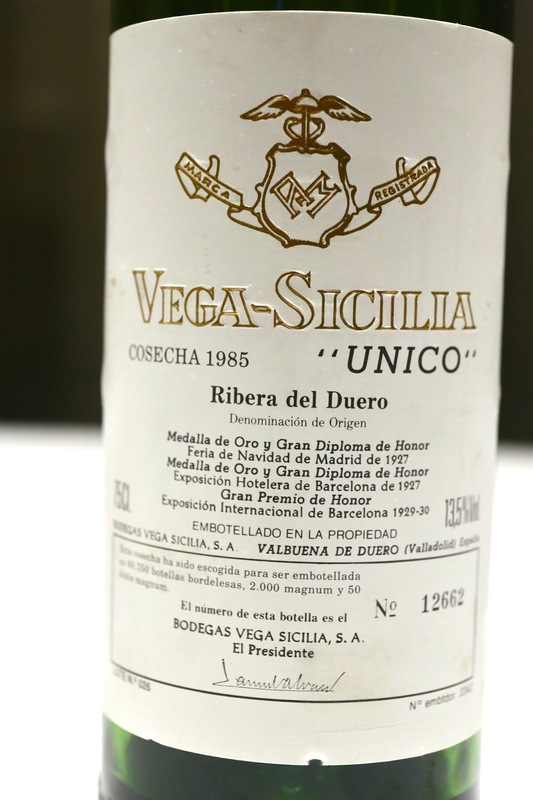 1985 Vega Sicilia Unico - ripe and sweet fruit on the nose, almost Ribena-like. A bit smoky, a little exotic, but a little farmy later. With the second pour an hour later, a bit alcoholic, with a little coffee in the nose. 93 points. 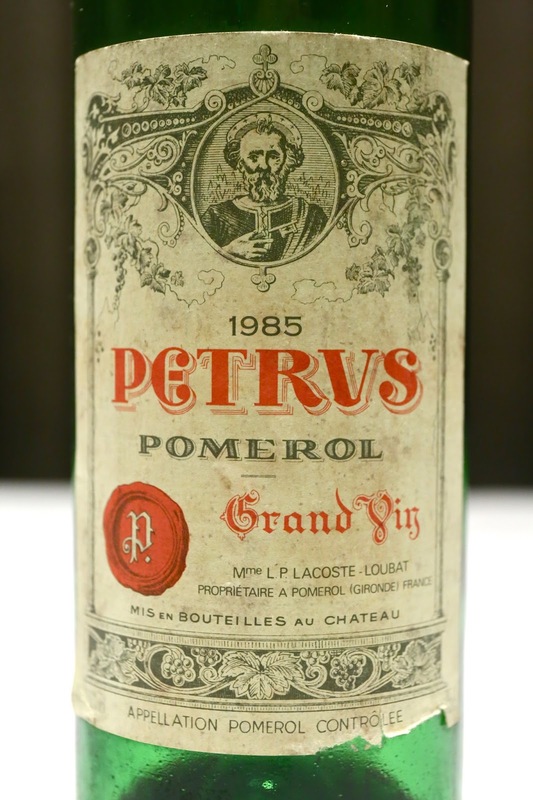 1985 Petrus - a little smoky and not very open at first. A little grassy. Opened up later to reveal a little soy sauce as well as some ripe fruit. 94 points. I was criticized by the host for being stingy on scoring some of the wines tonight, but I can't believe that I gave a 100-point score to one of the wines - a very, very rare occurrence. In retrospect, it's not too surprising that I gave it to Ducru, since it was the first château I fell in love with. Very thankful to our generous host!